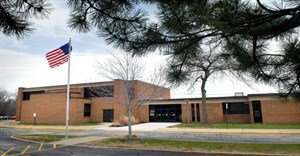 Bryden School is the attendance center for the Beachwood City School District’s kindergarten, first and second grade students. With an enrollment of 270 students and a staff of 70, Bryden prides itself on its efforts to meet the individualized needs of all of its children and the spirit of teamwork and cooperation among staff members. Bryden offers a wide range of curricular programs geared specifically to meet the needs of the young children it serves. Children are flexibly placed in small instructional reading groups and presented with language experiences using a balanced literacy approach. Math instruction is aligned with State of Ohio and National Council for Teachers of Mathematics (NCTM) standards and is guided by the recent adoption of McGraw Hill’s Everyday Math program. Bryden’s science curriculum is closely aligned with State of Ohio, National Science Foundation and Smithsonian Institution guidelines and standards. Science lessons emphasize a balance of hands-on process skill, scientific thinking and solid science concept development. Additional curricular programs offered to Bryden students include Tech Lab, Art Lab, Physical Education, Vocal Music, Library, Chess Club, Character Education and Book Club. Bryden follows an inclusion model in serving its special needs population, has an active IAT process and team in place, and offers a range of academic and behavioral support services. Specialized instruction is provided to Bryden’s gifted population using a variety of instructional materials and approaches. Before- and after-care is provided on site for Bryden students and their school-age siblings. Bryden’s mission statement, “To provide an environment that will nurture the growth of each child,” helps direct staff decision-making and program design. As a team, the staff decides goal-setting priorities each year within the parameters of broader school board goals. Bryden staff and students take great pride in their school and in each other’s accomplishments. Visitors to Bryden often comment on how pleasant and comfortable the school feels. This is no accident, but the natural result of caring adults making deliberate conscious decisions on the behalf of students, their families and each other.